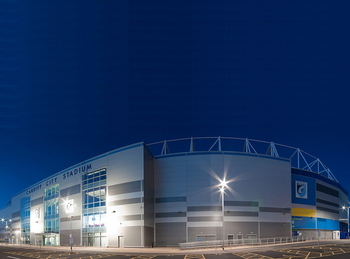 Originally known as The Alfred McAlpine Stadium, owing to the fact that the company that built the stadium, Alfred McAlpine, negotiated to have it named after them for ten years as part of their fee for its construction, it has since been called The Galpharm Stadium and is now known as The John Smith’s Stadium. 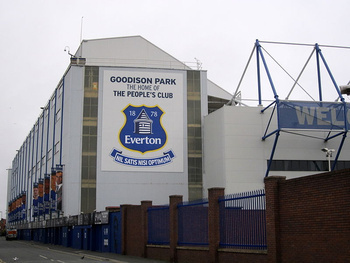 It’s most recent name came about because of the fact that the brewing company Heineken now sponsors the ground and gave it the name of one of its subsidiary companies for advertising purposes. 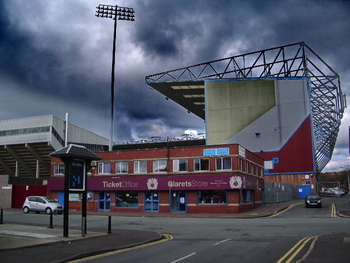 The stadium replaced the club’s former ground, Leeds Road, that it had called home since Huddersfield Town Football Club’s formation 86 years earlier. 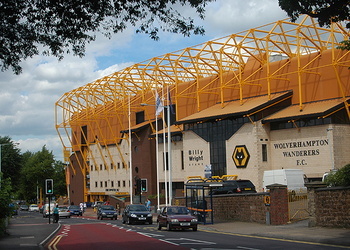 Though construction of the stadium was completed in time for the start of the 1994-1995 season only the two stands that ran along the side of the pitch were open at the start of the season. The ground is also home to the Huddersfield Giants a rugby league club based in the town. 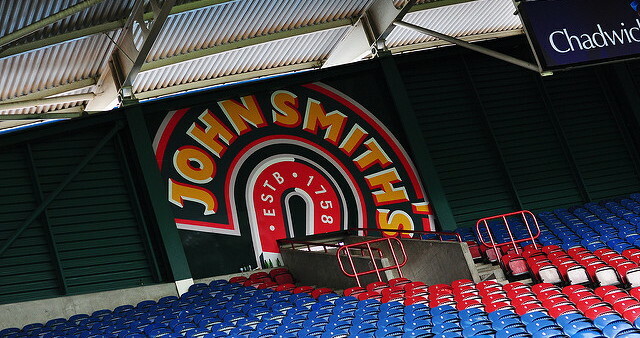 The John Smith’s Stadium has four stands, two of which are single-tiered and the other two of which are double-tiered. 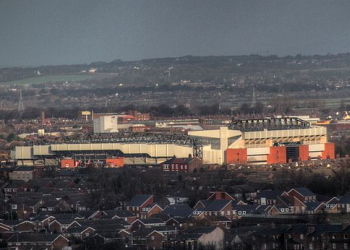 The Direct Golf Stand runs along the side of the pitch and offers two tiers, whilst The Britannia Rescue Stand is opposite it and has one tier of unobstructed views. The Fantastic Media Stand has two-tiers separated by a row of hospitality boxes and houses the club’s family section. Finally the John Smiths Stand is a single-tiered affair that normally welcomes the away supporters. Huddersfield Town keep their ticket prices nice and simple. Adults will pay £30, senior citizens have to pay £20 and juniors will find their prices limited to £15. 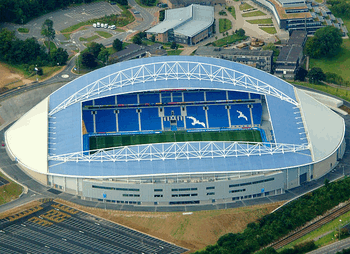 Tickets for Huddersfield Town matches can be bought over the phone by calling the club’s ticket office, via the club’s official website or in person at the ticket office. Train - Huddersfield Railway Station is about half a mile from the ground, so it shouldn’t take you too long to walk there. 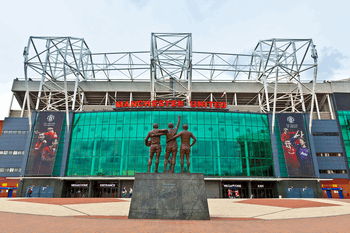 There are direct trains from Manchester Piccadilly, so you’ll change there on your way from London. 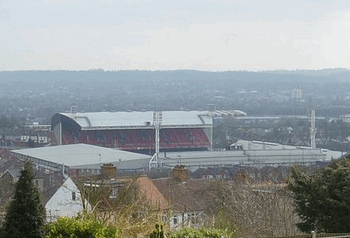 Bus - Bus numbers 200, 202, 203, 220 and 229 all run to Leeds Road, which is about 5 minutes walk from the ground. Car - From the West exit the M62 at Junction 24and head towards the A62 before following signs to the ground. From the East and North exit the M62 at Junction 25 and follow the signs firstly to Huddersfield City Centre and then to the ground. By Air - Leeds-Bradford Airport is just under 20 miles from Huddersfield, with Flying Tiger buses taking you to Leeds from where you can get the train. Taxi - A taxi from Huddersfield Railway Station to The John Smith’s Stadium will take about seven minutes and cost the same number of pounds. 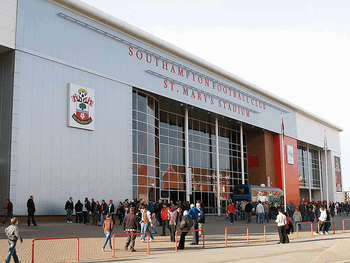 Town Avenue & St. Andrews car parks are both reasonably well sized and are located at the stadium. 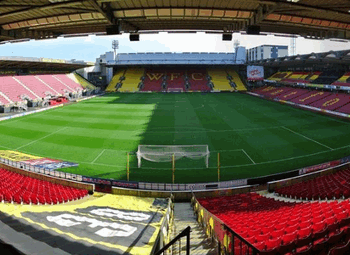 You can buy tickets on the day of the game, with other public car parks located in town and on-street parking available in some areas. Just over half a mile from the ground is this nice hotel with a restaurant and bar, breakfast available and free Wi-Fi. More details. 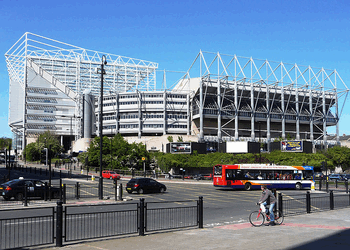 Around a mile from the stadium is this large hotel with a garden, a conference centre, a restaurant and free parking. More details. 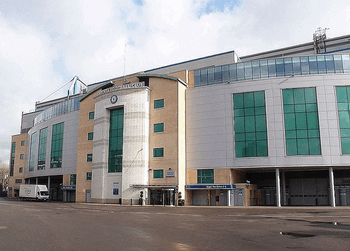 Promising a short walk to the ground, a free full English breakfast and free parking, this 25 guest room hotel is ideal for your pre-match stay. More details. Not far from the train station as its name might suggest is this pub that is housed in a Grade I listed building. They do food, guest ales and show the sport, too. This family friendly place welcomes away supporters and serves classic pub-grub. It’s a JD Wetherspoon, so you know what you’re getting. Located right next to the stadium is this traditional English pub that serves delicious food and shows sports on giant screens. Built in the mid to late 1990s, The John Smith’s Stadium is still a decent ground to attend for football and rugby matches. You won’t be disappointed by the facilities, with places to go and enjoy a drink and a bite to eat before and during the match. 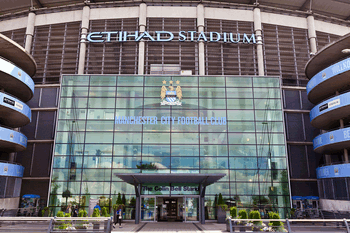 As well as numerous executive lounges, The John Smith’s Stadium also boasts a number of other lounges and suites. At The Heritage Suite, for example, you’ll enjoy a three-course meal before the game, wine, a tour of the stadium before the match and half-time refreshments. The White Rose Club Hospitality Lounge, meanwhile, promises a pre-match meal and Q&A with an invited guest, half-time refreshments and post-match Man Of The Match presentations. 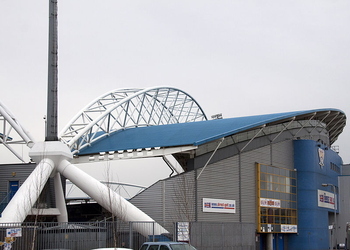 The John Smith’s Stadium is considered to be one of the best conference venues in Huddersfield. The ground offers its numerous suites for the hosting of events such as product launches, private parties and even weddings. If you’d like to host a business event there and use the executive lounges as breakout rooms then you’re able to do that too. 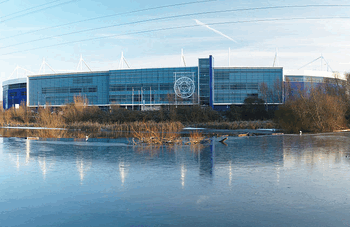 You can do a guided tour of The John Smith’s Stadium on most days by appointment, with prices starting at £15. The tour takes in all of the usual sights such as the dressing rooms, the tunnel and the dug-out area. Though there is no museum at the ground the tour does take in the trophy cabinet. Huddersfield Town might not be one of the most well-known teams in the Football League anymore, but they’ve certainly had their fair share of success during their existence. In 1926 they were the first English team to win three successive league titles - something that has been equaled twice since but never bettered. 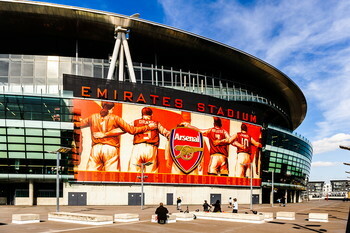 They also have an FA Cup win to their name, lifting the trophy in 1926. The Terriers, as they are known to their fans, have strong rivalries with the other major Yorkshire clubs. Leeds United have the tag of being Huddersfield Town’s biggest rivals, with Bradford City, Barnsley and Oldham Athletic also facing the wrath of the Huddersfield supporters at one time or another. They hold the boasting rights over Leeds, though, having won 25 of the derbies that the two teams have played, losing only 19. 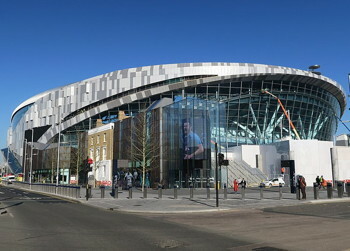 The stadium opened in 1994 with just two fully-completed stands. 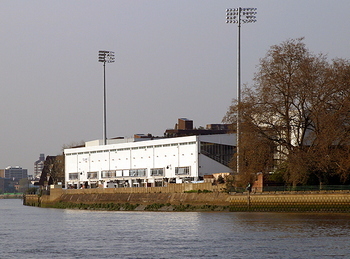 A third, The South Stand, was opened in December of that year but The North Stand, or The Panasonic Stand as it was known at the time for sponsorship reasons, didn’t open until 1998. 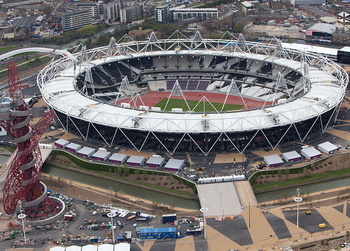 The estimated construction of the entire stadium was £40 million. When it was built the stadium was owned by a combination of Kirklees Metropolitan Council, who owned 40% of it, Huddersfield Town Football Club, who owned another 40%, and Huddersfield Giants Rugby League Club who owned the remaining 20%. 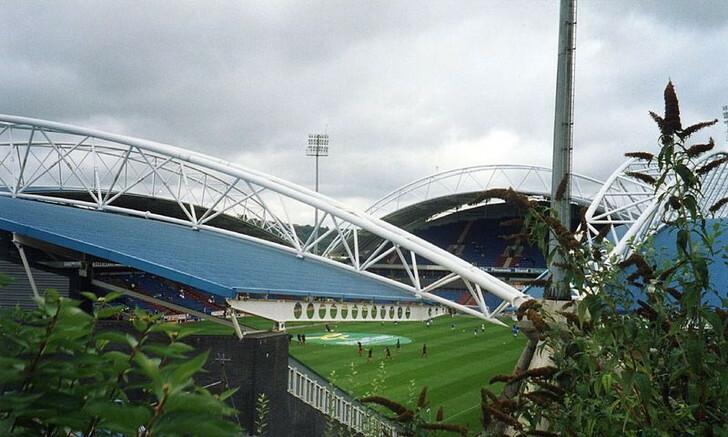 Financial difficulties at Huddersfield Town saw the club go into administration, however, and now the club’s owner, Ken Davy, owns 60% of the stadium with the council owning the other 40%. After everything had settled down it then went back to the original ownership arrangement. 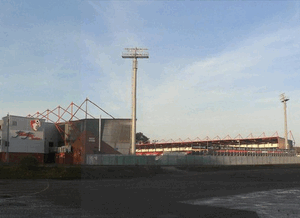 The John Smith’s Stadium itself is unlikely to be developed much any time soon, though the area around the ground is due to undergo some regeneration in the coming months and years.